You’ve heard the old phrase about assumptions. 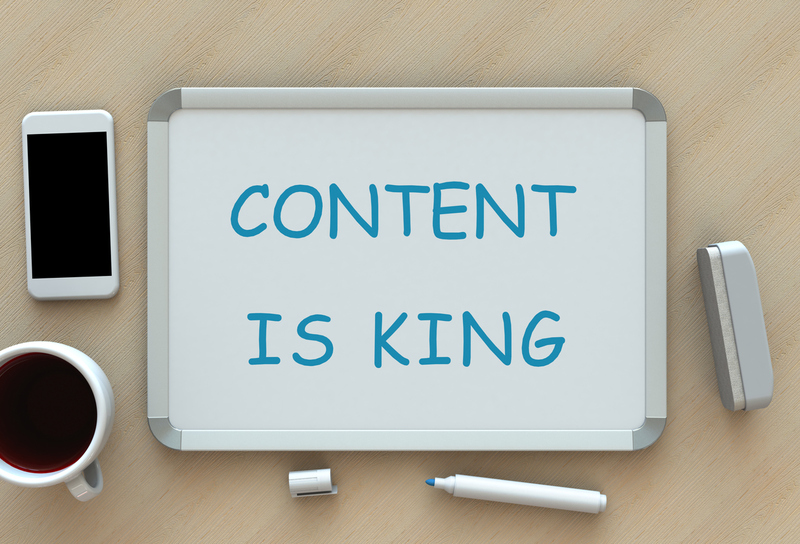 We won’t repeat it here, but the same rings true when it comes to your content. Instead of assuming what you think your readers want to hear and potentially making, a..well, you know...out of you and them, just ask. It’s not unprofessional, it doesn’t make you look out of touch. In fact, it makes you look just the opposite--with your finger on the pulse of your people, digging into what makes them tick and what their needs are. One of our favorite ways to do this is with the Instagram polls, or even better, the Instagram question function, both available in the story feature. You can also ask directly through Facebook or take a poll in your email campaign. Once you’ve asked your community what it is they need, it’s time to provide. Make a master list of the questions or concerns you saw popping up again and again. Take each idea and craft it into a topic you can plug into your content strategy. Answering their questions and explaining anything they’re unclear about shows your audience a few different things. For starters, it shows you listen to them and value their input. There are a heck of a lot of companies out there who don’t, so doing this gives you an edge. Next, it establishes you as a thought leader in their industry. You are the expert, the aficionado they can turn to. As a result, they put their trust in you. And when a person puts their trust in you, you’ve tackled the hardest hurdle in converting them to a customer. With so much on our plates, it’s easier to create the content, dust of our hands, and call it done. But that’s no way to treat the content you’ve worked so hard on! Content doesn’t do you much good if it isn’t working. And sometimes, it just isn’t. But you can’t know that unless you’re regularly checking up on its performance. Maybe something has missed the mark. That’s ok, it happens! But now it’s time to start testing. When it comes to testing, be sure not to do too much at once. If you come across a piece of content that isn’t doing as well as you’d hoped, change one thing, and see if you get a different outcome. If you change multiple things about the piece (like title, CTA, etc. ), how can you know what worked? You can’t, which means you can’t know what to make sure gets adjusted the next go round. What are you waiting for?! It’s time to go ask your community what the heck they want to hear about from you. If you need any help setting up your Instagram stories (or any other platform) to ask your audience, just let us know in the comments! We’re happy to help. Want to learn more about how to earn leads for your business? Download our Guide to Lead Generation. Click the button below to get started!